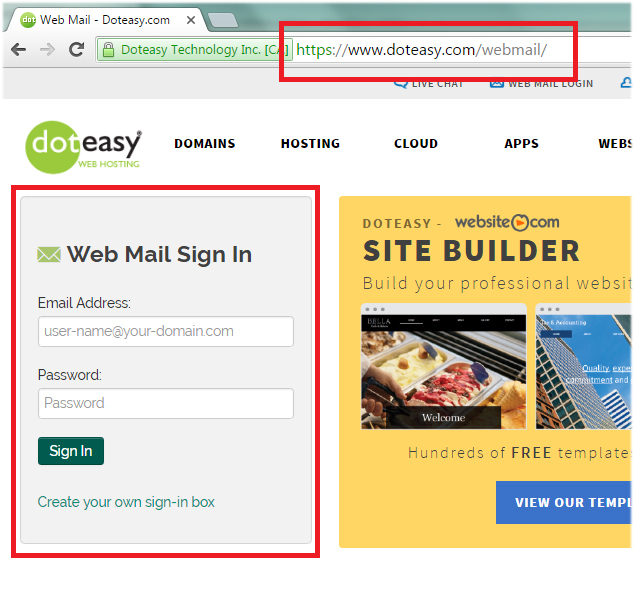 When you set up your domain email accounts with Doteasy, you are provided webmail access to your email accounts. In this article, we will look at what webmail is, as well as how to login to your Doteasy webmail account. If you have ever used Gmail, Hotmail, Yahoo! or other email accounts, chances are you’ve used webmail. Webmail is a web-based email tool that allows you to access and work on your emails from a web browser. When accessing your emails via webmail, all you need is a web browser and an Internet connection. From the webmail interface, you read and compose email messages, maintain an address book and perform other common tasks. Webmail is an optional feature – you are not required to use it as you can also use your preferred email client (ie. Thunderbird, Mac Mail and Windows 10 Mail) to access your email accounts. 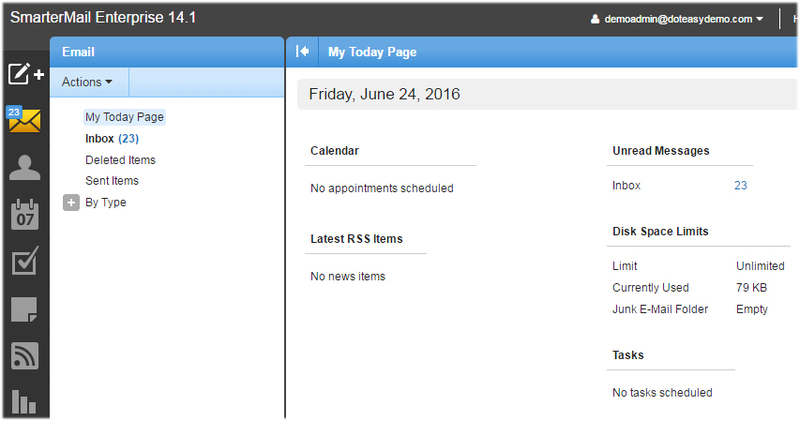 You can also use webmail in combination with your email client. For example, you can use webmail to check your emails on your home computer and then use your phone or tablet to check your emails on the go. Accessing your webmail is easy, all you need is a web browser and your email address and password. You will find the webmail login link on the Doteasy website. 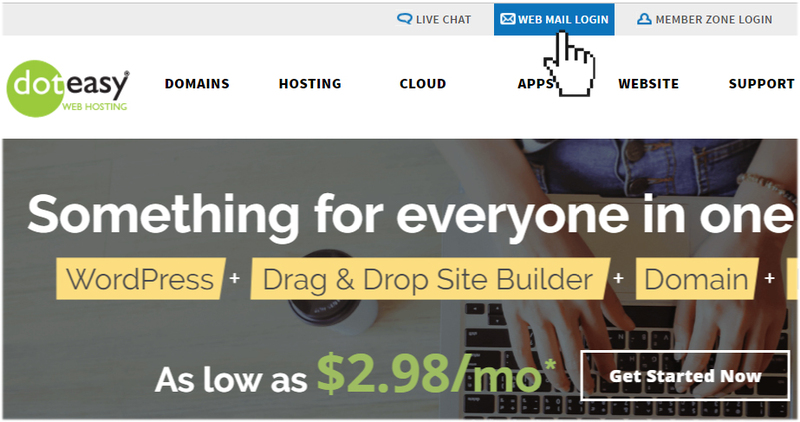 Or, you can also go to the URL https://www.doteasy.com/webmail. Simply enter in your domain email address and your password to login. 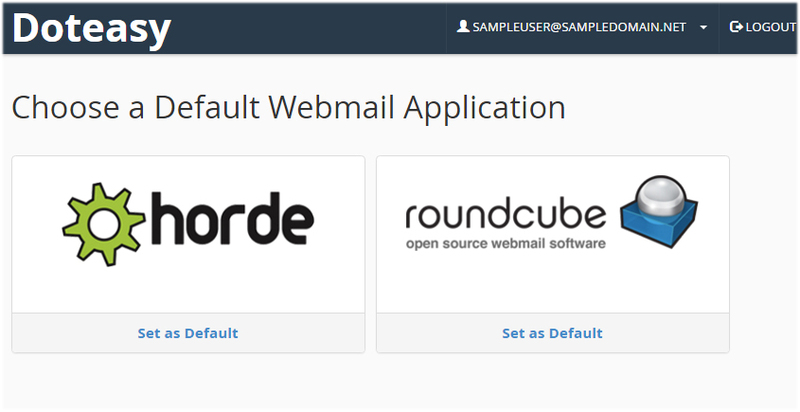 If you are on the cPanel mail platform, upon sign-in you will be given the choice between the Horde or RoundCube webmail application.